Pleased with a point from Saturday? Really? So the dust is starting to settle after the Liverpool game and minds are starting to turn to future fixtures which is understandable, but the thing is, I find myself troubled and not quite ready to move on just yet. Apparently, if I believe what I read, we passed a stern test and for that we should all be grateful. Or that seems to be the thrust of the view pushed upon us throughout the “non partisan” media and even more by many of the faithful in Arsenal Blog World. Well you know what, I don’t feel grateful, I don’t think we passed a “stern test” and I was not happy that we drew. We could have won, we should have won and here is the bit that all the media have been afraid to say and that is – We were the better team. 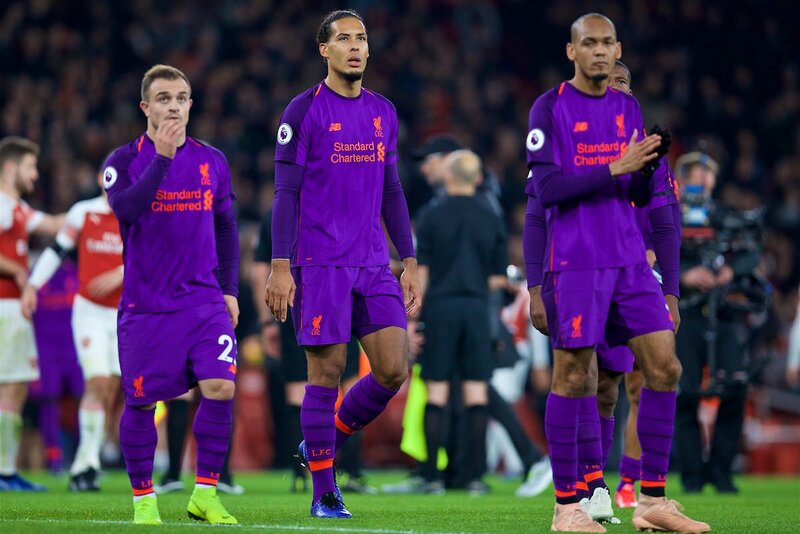 Klopp mockingly said after the game that Arsenal sent on so many attackers that he was half expecting Bergkamp and Van Persie to make an appearance. The thing is again that we had the option to do that; Emery was able to send on Welbeck and Iwobi and even Ramsey is one of the most attacking midfielders in the league. But what has Klopp got? … ok, it can be argued that Shakiri is on a par with Ramsey but then what? They have no more strikers. If you go through the teams, player for player, I think that you take far more Arsenal players than Liverpool. Keepers: I am quite happy with Leno; there certainly was not a huge difference between them. The back line, bear in mind when you think about this, Liverpool had no injuries and were able to field their best 11. I wouldn’t swap our wing backs: Bellerin and Monreal for theirs, would you? I don’t think that Gomez is better than Koscielny and when the media take Van Dyke’s appendage out of their mouths they might see that Holding was every bit as good as the Dutchman on the day. I don’t believe that anyone would swap any part of our midfield, (Torreira and Xhaka) for theirs, so that is over quickly and then we get to the attack. Mane for Ozil, err no, as good as Mane is, that is not a good swap. Firmino for Lacazette? No. And so we get to what is the one change anyone would make: Salah for Mkhitaryan. So that is just one change and we should remember that one blow to Salah at the wrong time and they could find themselves losing a very important game, oh wait, that already happened last season, shame. So where did this idea come from that we were the underdogs at the start of that game and we should be grateful for our draw? I suppose fools like Merson fuelled this idea by predicting that Arsenal could get whooped 3-0 if Liverpool were on their game. 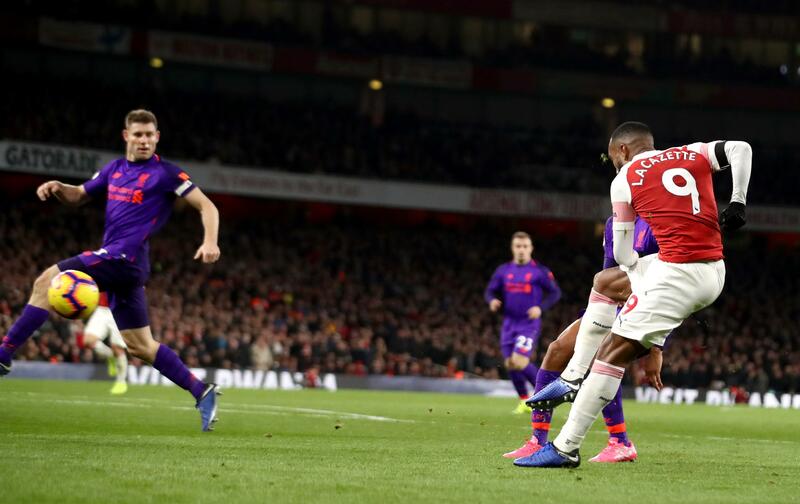 The thing is, Paul, some of us had been watching Arsenal’s recent games and had seen with our own eyes how we have steadily improved and just how far we have risen since our unlucky loss against Chelsea. Liverpool have been lauded by so many as the only true rivals to Man City and by that count above they only have one better player than we do and it is that fact which finds me taking issue with the idea that we should be both grateful for and content with the draw. Well, I am not grateful and I am not content, I am damn right furious that we, The Arsenal, the better team, did not win. This entry was posted on Tuesday, November 6th, 2018 at 7:55 am and is filed under Uncategorized. You can follow any responses to this entry through the RSS 2.0 feed. You can leave a response, or trackback from your own site. 57 Responses to Pleased with a point from Saturday? Really? Ahhh, I feel so much better for that. Like the addition of the definite article. Cheers, LB, it’s a right banger and I loved reading it. Excellent stuff. I also realised that with yesterday’s post, I fell into the trap that we’d done well to get a point and moved discussion away from the dippers game far too quickly. So apols for that. What an excellent fiesty, in yer face Post, LB – loved it. Mmm, well, this is bit awkward — but, no, I haven’t got anything – so I will have to sign myself firmly behind you, monsieur! Spot on! I think you should look at the wider picture. It is going to take Emery at least two seasons to get the team playing as he wants, as it has taken Klopp at Liverpool. We are unbeaten in 14 games and some of these games we would have lost last season including this one. Like it or not on the basis of previous performances we were underdogs. Their players might not be better than ours but their system and way of playing is more advanced. What we have proved in the last few games is that we are no longer a soft touch. Next season at home to Liverpool may well be a game we will expect to win but a draw this season, and more importantly, a game where we matched them, is not a bad result. I was one of the doubters and went into the game with little positivity. At the final whistle I felt delighted with the performance and the point but with hindsight I have to agree with the post. We should have won and had we had the stroke of luck which led to LFC’s goal, we would have. It is no surprise that the Scouse led media, still reveling in the Klopp love-in, presented the draw as a fortunate AFC point in a L’pool dominated game. Shame we cannot put LB’s post on the BBC website. Thinking of the BBC website, this is a wonderful and humbling article. A reminder of how incredibly fortunate we are. Typical arsenal fan. When you have a good game you get carried away. I have never seen a more fickle fan base. 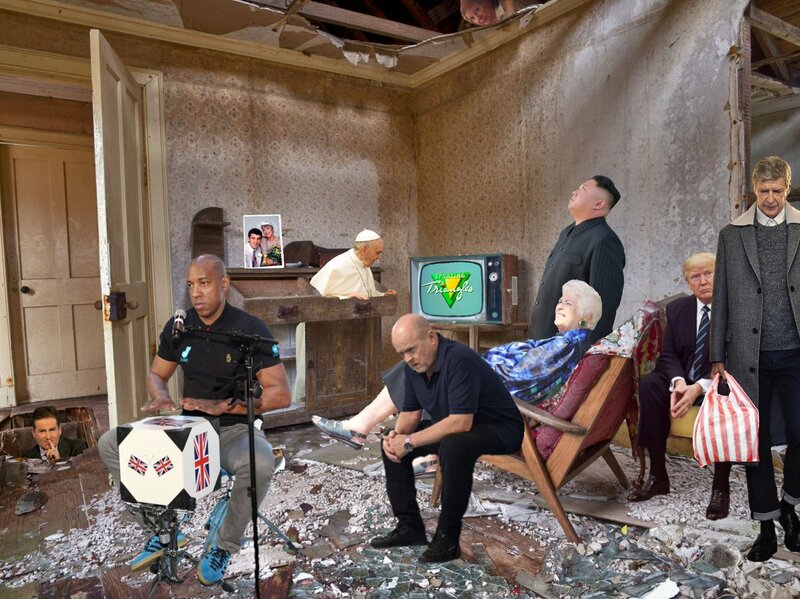 When things go slightly wrong you claim it’s the end of the world. Maybe you should not just base all your findings on one game. Liverpool probably had their worst performance of the season and yet still had about 5 clear cut chances. Yes arsenal moved the ball well and dominated possession but this is what is meant to happen in a home game. Over the course of the season you will see that Liverpool have a better team, clearly they haven’t even clicked yet and are 4 points ahead of you. One better player than you is a ludicrous statement. Maybe you should increase your sample size to the last couple of seasons than one game when judging players. But like most arsenal fans you probably only watch arsenal rather than football as a whole. Souness and Merson are idiotic in their criticism of Arsenal but other than that I don’t see this so called “media agenda” that many arsenal fans claim. Get over it. Brilliant work LB, I was leaning towards your view before I read your post .. now I’m bang behind you. I do think Klopp is arrogant, it was interesting to see the difference in body language between him and Emery on the touchline. 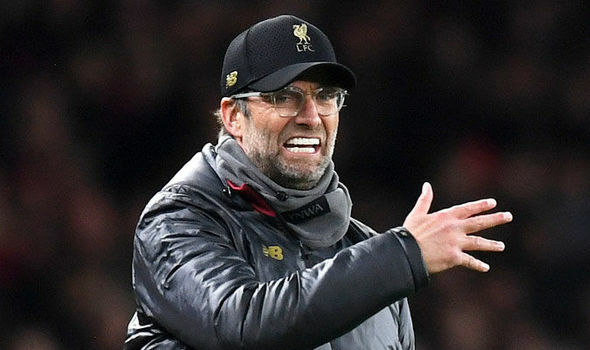 Emery was all encouragement … Klopp was frustration and angst. Emery is where Klopp was a couple of years ago, it’s exciting to see the team making real progress under him … Klopp now has the burden of expectation. Thanks for the clip @ 8:51 Raddy … a real jolt back into perspective. Neil, we are open to comments from non Arsenal supporters even if (politely) critical of us and the club .. but there is one simple thing we require in return … have the manners to tell us who you support to add some perspective to your comments. You can call LB many things such as, vociferous, loyal, an expert on cycling, Barolo wines and Basque cuisine, strident and also gently mocking (amongst other descriptions). One thing you most definitely cannot call him is ‘fickle’. For the record, I thought Liverpool gave far worse performances when spawning all the points against both Huddersfield and Leicester away. The performance in the home game against Brighton was nothing to write home about either. Ouch, Neil, some swingeing criticism there, much of it (most of it?) rather unfair. The Post clearly was written about that game on Saturday. To extrapolate from the delighted/disappointed reaction of the Arsenal fans here, that they are fickle and then claim that ‘Pool would have a better team over the entire season is contradictory, and let’s face it, everyone knows Man City will have the Premiership sewn up by Xmas so Klopp may not be your messiah after all. The ‘media agenda’ is referred to by all fans when it suits them, including ‘Pool fans, but as an example of the bias against ‘non-Liverpool’ clubs, ask yourself how many ex-‘Pool players swamp the TV schedules as presenters. Who was the ‘guest’ commentator at Saturday’s game? Well none other than “Liverpool are wonderful – Arsenal are crap” Steve Macmanaman. The Arsenal presenter for an Arsenal home game? Well there wasn’t one. Funny that. I am not going to list them — but look at the hordes of ex-Pool players littering the TV and sports pages telling us “the Premiership is Coming” and you might get why ‘media agenda’ resonates among the Arsenal supporters. Incidentally, how many times have ‘Pool won the premiership? [In fairness you have won a number of CL cups, against our …… — but we will gloss over that — so how many League and FA Cup doubles have you won? Well we will gloss over that too. I like the passion of Neil’s comment, I don’t agree with it of course but I think the site is a better place for it. I think that is the first rant I have ever written, it seems to be well received, I will try and do more in the future. I am killing time in an airport waiting for a delayed flight. I was listening to a depressing podcast on the political divisions in the US, and one woman (among many, I guess) said that Trump was a liar, a misogynist, and with a poor moral character — but she was going to vote republican, because she trusted him. What?? The world is going mad!! Then again, Trump will blow it up soon enough – so what’s the point of worrying? Klopp just gave the best 30 seconds of post match interview I’ve ever seen. Complete with f-bomb on live tv. Barolo reminds me of the Italian defence: full, solid, heavy where as Rioja reminds me of the Spanish attack: exciting, fluid, fun, a joy really. I quite like this fancy dress outfit. The hands are much too big, though. LB Flying somewhere warm? A cycling trip in Cuba? RC. They had the €47m Fabinho, who should have been sent off. The €30m Wijnadum, who was almost invisible and the much lauded Milner, who deserved the smash in his face for scoring at THOF. Quite a strong midfield IMO, but you are right insomuch as they missed Keita who is a wonderful player. brilliant post LB, i’ve signed up to your point of view, however Arthur makes a good counterpoint but what is a good counterpoint good for nowadays in the smash and grab world of hard and fast rhetoric against a sea of false news. Could you put up your wife’s recipe for paprika peppers. please? I had a go from an internet recipe and it lacked punch. Thanks LB – a super read. Mark my box as “contented” although we had the lions share of possession, which is expected of a home team, the best chances went to Liverpool. Of course we had opportunities to win but I still feel a draw was the correct score. We badly needed to show that we can compete with the top 4 and the fact that we did should instill even more grit and determination into the team and bodes well for our future. I feel that all of our keepers are below the top grade for various reasons – Cech age and Leno youth and size and overall quality. Allison Becker is on a different level and simply oozes confidence. Virgil van Dijk is an grade A+ center back and to have him paired with Rob Holding would be the glue and steel our defense has been missing post Adams. Thank you so much for your post it demands thoughtful dialogue. BTW, we just had a public holiday for the Melb Cup, won zip and finished off by watchng Bohemian Rhapsody. Memories of Live Aid again and how disapointed I was with Duran Durans performance etc. I liked “the smash and grab world of hard and fast rhetoric against a sea of false news”………..
We would then be very hard to beat and to break and we have enough diversity in our squad in terms of profiles. Big Raddy – Fabinho is good but not 50 Mln good yet…He is not yet like Henderson defensively or Keita offensively but he will get there. If true, Le Prof could possibly cross paths with the Gunners much earlier than imagined. Many have wondered where Arsene Wenger will end up since he left Arsenal last summer. The Frenchman ended his long reign in north London and is yet to return to management, but he has promised to do so very soon. According to France Football, Le Prof is close to being appointed as the boss at another European outfit. That team is none other than AC Milan. The 69-year-old had been linked with a sporting director role at PSG. However, the former Gunners tactician has dismissed that and is now reportedly in negotiations to replace Gennaro Gattuso at the San Siro. The current Rossoneri boss helped AC Milan earn a Europa League spot but they sit second in their group. Gattuso’s men are in the race for a Champions League berth as they currently sit in fourth, but owner Paul Singer, a fan of Arsene, has given the green light to pursue the three-time Premier League winner. One thing that could ease Wenger’s arrival is the presence of Ivan Gazidis. The former Arsenal CEO recently announced his decision to leave the Emirates Stadium to make the switch the Italy. While his relationship with Arsene did hit turbulence on occasions, their familiarity with each other could push this deal over the finish line. If this report is true, the Frenchman could also reunite with Aaron Ramsey, who has been linked with a move to AC Milan. The Welshman, who was a favorite under Le Prof, will soon be out of contract and could join the Serie A outfit for free. Additionally, given that the Rossoneri plays in the Europa League this season, Wenger could return to the Emirates Stadium rather early should the Italian side face the Gunners later this season. Of course, this depends on whether Higuain and Co. can remain in the competition until Arsene’s predicted New Year arrival. Oh boy – what’s happened to me? I’m now sharing Red Top gossip. Islington police here are hunting the ‘Knitting Needle Nutter’ who in the last 48 hours has stabbed nine people in the arse. Neil will be disappointed about tonight. All the running L’pool did on Sunday must have affected their performance . What has happened to Salah? Thierry Henry at Monaco is beginning to look a bit like Gary Neville’s brief stab at being a manager in Spain. It’d be fun to hear what Arsene had to say on the subject. Both the dippers’ and spuds’ groups are nicely poised with them both having just played the weakest teams in their respective groups home and away. We could end up with both the mickey mousers and the stinking swamp creatures in the Europa!!!!!!!!!!!!!!! A disturbing prospect. They could be joined by Man Utd. It was 5 years ago yesterday that Young MickyDidIt and I went to Dortmund to see our wonderful 1-0 victory! Anybody watched the Napoli-PSG game yesterday. My oh My – Koulibaly and Allan are just what we need. Koulibaly is a rock at CB and Allan is like having another LT but Allan comes with better passing. They will be expensive but they are worth a try. On PSG side, well signing Mbappe would not hurt but I think he will not go come to AFC. He would rather go to Real, Barcelona and may be before that he will do a stint at Juve or Bayern, then the Prelier League (maybe City or Utd or Liverpool). But that boy is just amazing, his runs, his poise and his skills are crazy.